Partners and potential funding sources for repurposing West Linn's old city hall have come and gone, but the City's vision remains the same: to leverage the historic building into a broader redevelopment effort along the waterfront. 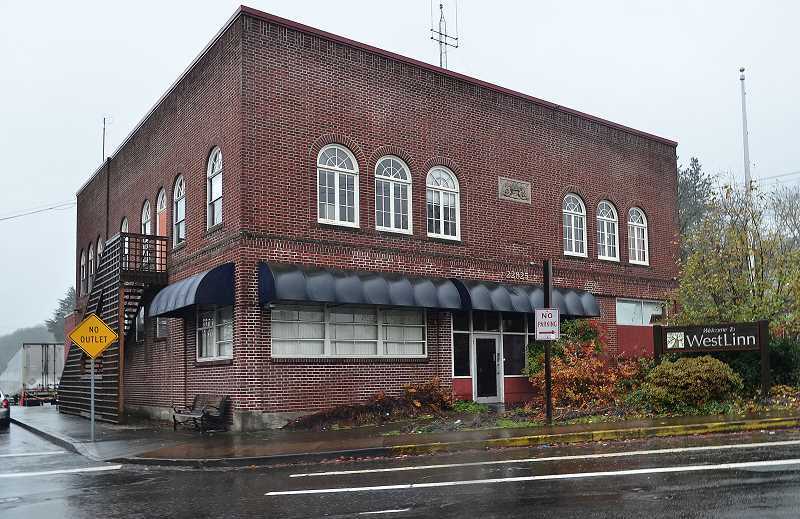 Talks surrounding the vacant building — which also served as the city's police station until 2014 — renewed at a Nov. 5 City Council work session as councilors were briefed on the status of one remaining funding source: a $100,000 grant awarded by Clackamas County Tourism & Cultural Affairs (CCTCA, also known as Oregon's Mt. Hood Territory) to the Clackamas County Arts Alliance for the purpose of funding a "cultural center" at the property. "We were originally told by Tourism staff that by mid-November, we had to tell them if the project was moving forward (or the grant offer would be withdrawn)," West Linn Community Development Director John Williams said. "We actually have until mid-February." Around this time last year CCTCA was in need of a new home and intended to serve as the primary occupant of the new cultural center space. CCTCA had the backing of several other local organizations that would have used the building for office space — including the Clackamas County Arts Alliance and Willamette Falls Heritage Area Coalition — and together those groups expected to invest around $1 million to renovate the building. The City, meanwhile, would agree to allow the groups to use the vacant "underutilized property" for at least 15 years with an option to renegotiate the agreement if necessary. But those plans never came to fruition as some on City Council voiced concerns about parking in the area and the exact details of CCTCA's proposal. In January 2018, CCTCA announced it had found a different office space to rent on Blankenship Road, and the other nonprofits said they didn't have the resources to pursue an agreement without CCTCA. But the $100,000 grant technically remained in place. Now, as a new grant cycle begins, CCTCA is looking for a sense of direction. "Since (the initial discussions), the City Council has not reconsidered how this building should be used or whether General Obligation Bond resources will be directed towards the facility," Williams wrote in a memo to the council Oct. 25. "Clackamas County Tourism & Cultural Affairs is entering another grant cycle, and reports that they have many worthwhile grant applications being developed with a limited amount of funding available. "They have requested information from the City ... as to whether the Old City Hall project is moving forward; if not the grant offer will likely be withdrawn and the funds used for other projects." Due to the extension, the council now has more time to work out a plan. And according to Mayor Russ Axelrod, members of the Heritage Area Coalition will appear at the Nov. 13 City Council meeting to present their latest vision for the property. "They see this as wanting to make (old city hall) a focal cultural tourism (point) despite (CCTCA's) location on Blankenship Road," Axelrod said. "Everyone, without question, wants to preserve the building. It's perhaps our greatest historic asset in the city. "Until the City commits to it, nothing is going to happen." City Councilor Bob Martin agreed, but said he still had concerns about parking and the how the effort would fit within the context of larger scale redevelopment along the waterfront. "My concern is we don't go forward with something that's a dead end," he said. "We can't just say, 'There are a lot of possibilities, we'll be able to figure out something.' ... We need to have some viable, reasonable, plausible path forward." In response to Martin's parking concerns, Williams said the City controls around 20 spots on Mill Street next to the property, and West Linn Paper Co. also recently installed metered parking spaces on property it owns next to the old city hall — though the long-term future of the mill property remains unclear. "All we can plan on is 20 (spots)," City Councilor Rich Sakelik said. "If we could make a commitment to a vision plan and perhaps have a task force to envision what might go into the building and the cost of it ... we should have a firm concept plan for where we think we could go." City Councilor Teri Cummings said saw it as an "incredible opportunity." "I can see it being a cornerstone of the waterfront area for both West Linn and Oregon City," she said.